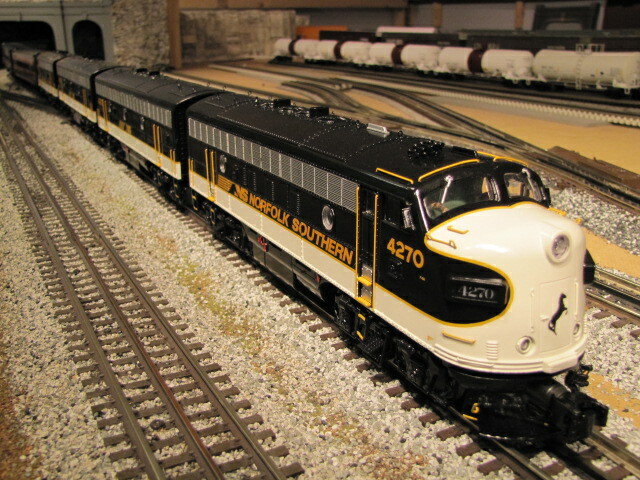 The Southern Railway ES44 that's part of Norfolk Southern's heritage fleet. Great engine! Made in 2013, added to my collection in December of 2013. The was the first DCS engine I bought. 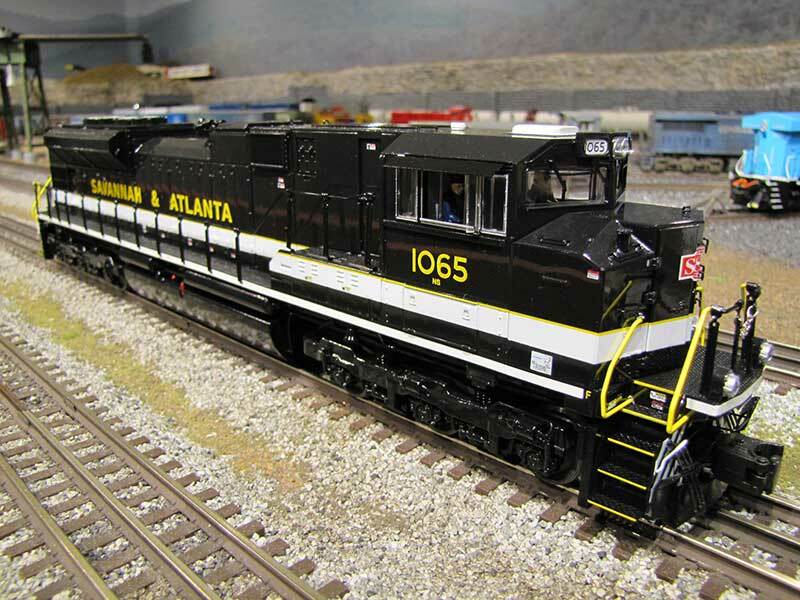 I was introduced to DCS and purchased this engine at Legacy Station, a great train store just outside of Atlanta. 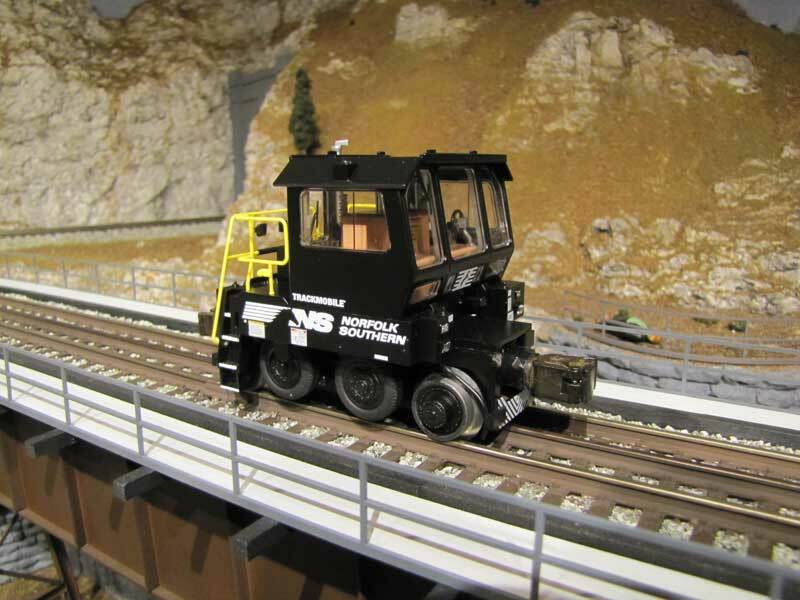 You can check out video of this train in action right here. 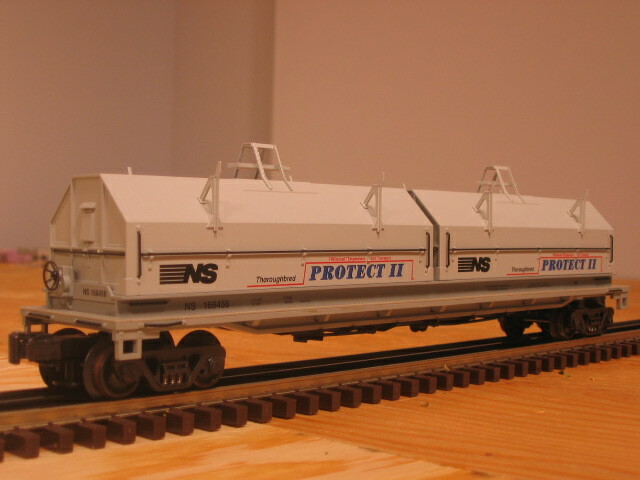 This is a 2000 model, added to my set in July of 2005. For sentimental reasons, this engine is almost always on the layout. 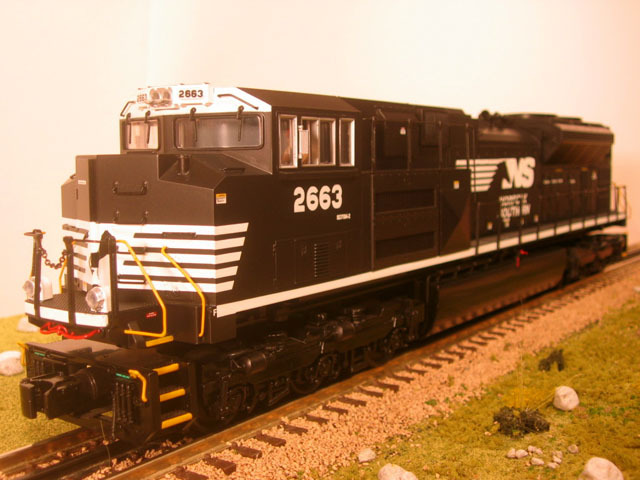 Amazing details make these SD70's so awesome. You can check out a video of this engine in action right here. 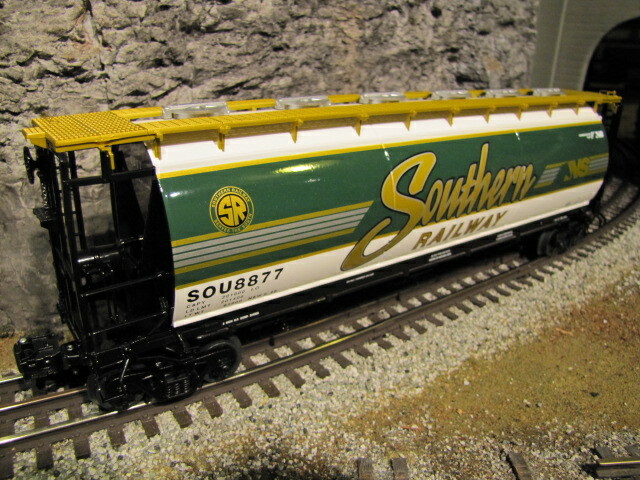 This is a 2005 model, added to my set in July of 2007. This 2006 vol. 1 catalog order finally arrived in October of 2008. I'd say it was worth the wait. Very nicely done. The standout feature on this engine is the sound set. It sounds unlike any other engine I have and the start-up and shut-down sounds are first rate. Well done, MTH. You can view a video of this engine in action right here. Part of my 2008 Vol. 1 order, this is a beautiful engine. The start up sounds are wonderful. Made in 2008, added to my set in November of the same year. You can check out video of this engine in action right here. 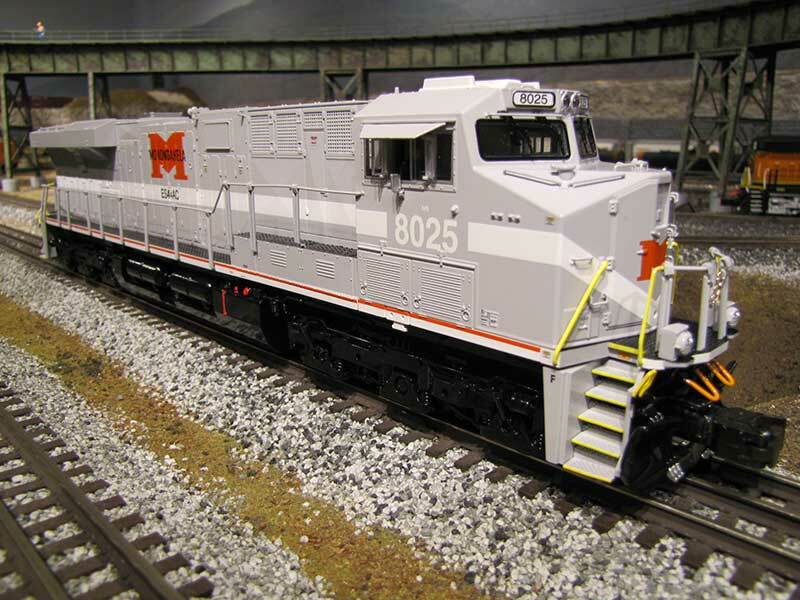 These engines are part of a large set that MTH offered for their 2007 Dealer Appreciation Program. 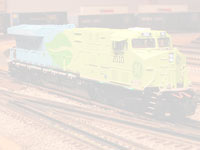 The 2 A Units and 1 B unit are model 20-80007B and the extra B unit is 20-80007C. The set also came with 10 passenger cars. I searched for this set for 3 years before Legacy Station found it for me in 2010. An amazingly beautiful set. Built in 2007, added to my collection in October of 2010. Click here to see this set in action. Just like the one above, but unpowered. 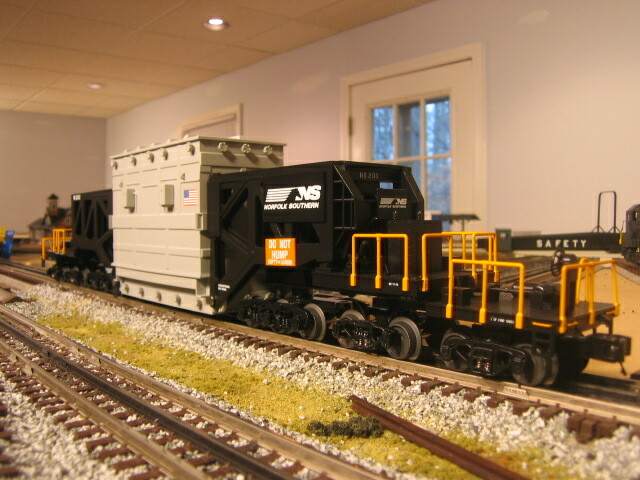 I've added an MTH lighing kit to this unit. Inspired by the real life version I've seen in the NS yard downtown. A perfect little switcher. Made in 2007, added to my set in December 2007. From my 2010 Volume 2 catalog order. 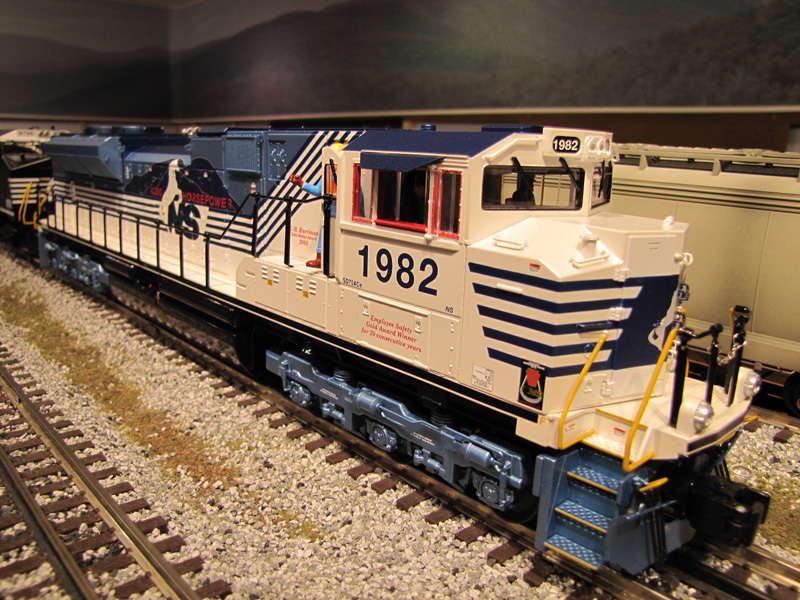 This was Lionel's second genset offering as part of their Vision Line. Just like the UP version before it, this engine is spectacular! Made in 2010, added to my set in November of 2010. From my 2009 vol. 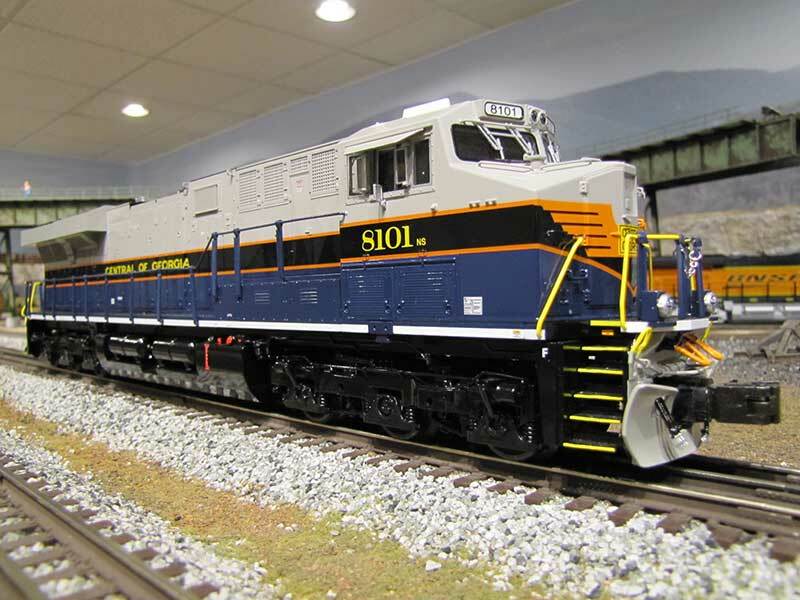 2 Lionel catalog order, I was pleasantly surpised at the amount of detail on this engine. The sounds are great and the horn is one of the best I've heard. Made in 2009, added to my set in February of 2009. 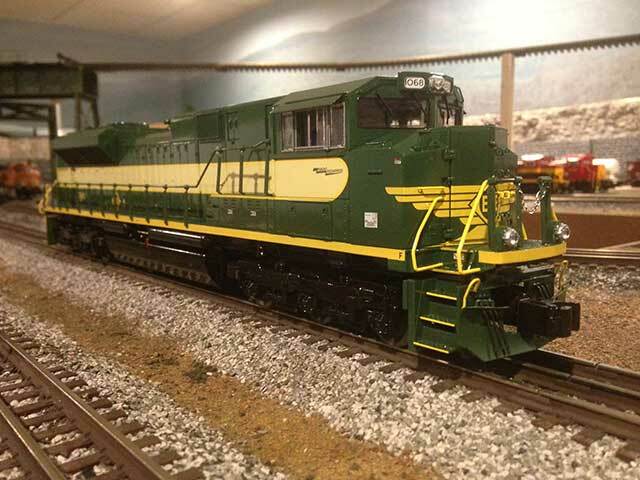 Click Here to see my review and running of this engine on YouTube. 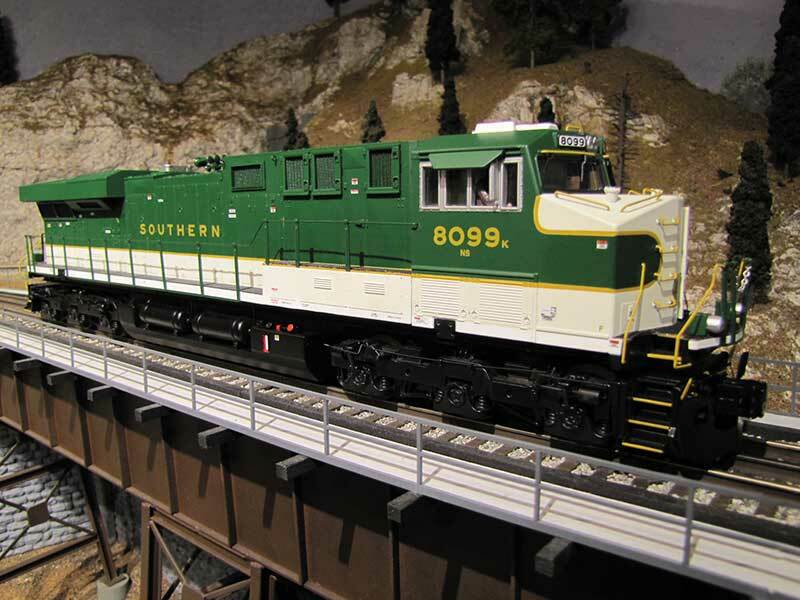 From Lionel's 2008 catalog, this is a very nice set. The engine lacks some of the detail I'd expect on a premium engine, but it runs fantastic and sound great too! 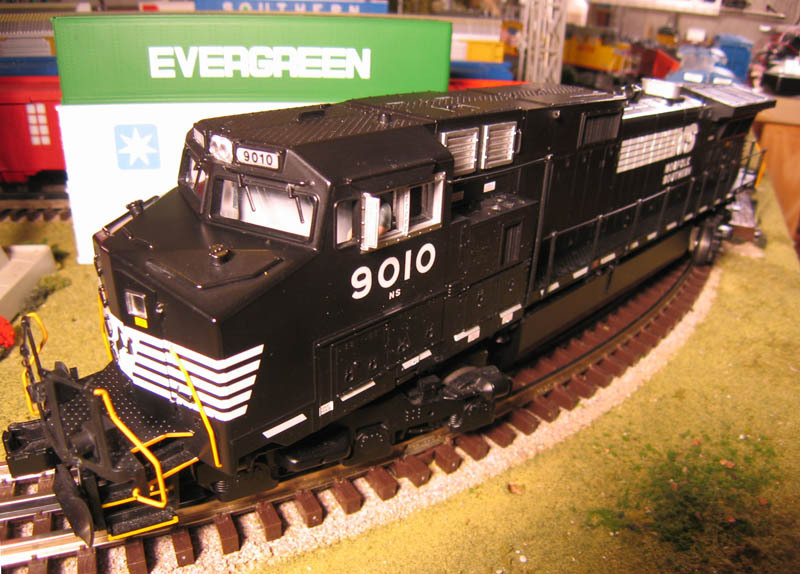 This is a 2008 model, added to my set in October of 2009. You can see this engine in action by clicking here. Gorgeous engines that sound great. 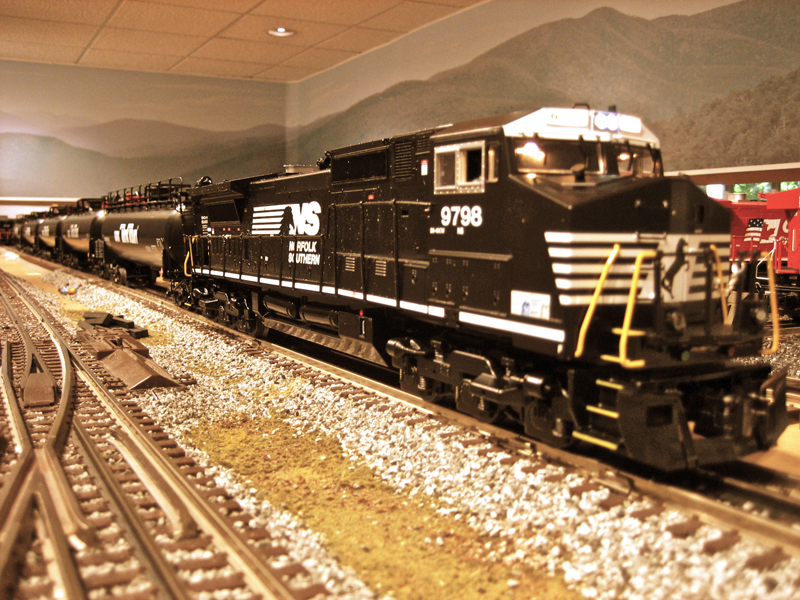 Lionel's Legacy SD70's are fantastic. Made in 2011, added to my set in October of 2011. Just like the other SD70M-2 above, but a different road number. Made in 2011, added to my set in October of 2011. Great little speeder, now with TMCC. Made in 2012, added to my collection in January 2013. From my 2012 vol. 1 catalog order. Made in 2012, added to my collection in May of 2012. Living in Georgia meant I had to get this one. Made in 2013, added to my collection in December of 2013. 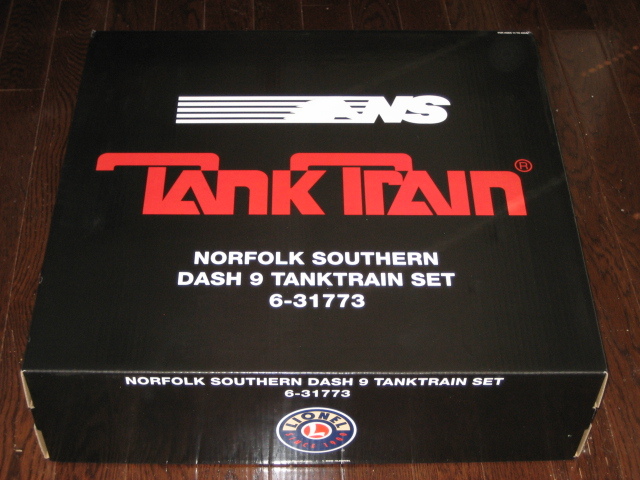 Part of Lionel's NS Heritage series. Love the paint scheme and the local roadname. Made in 2013, added to my collection in August of 2013. 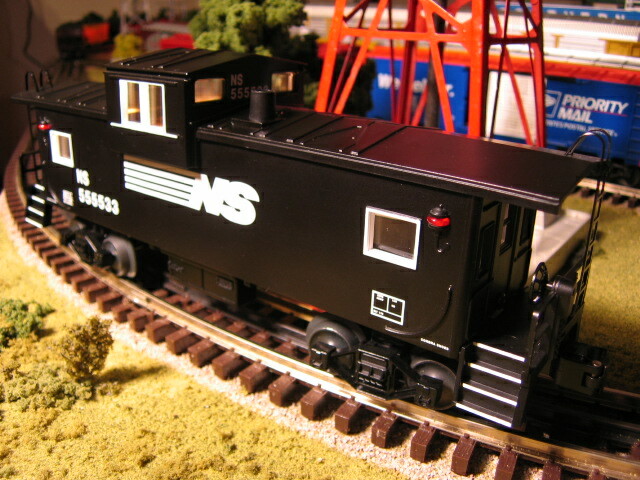 Part of Lionel's great NS Heritage series. Great paint scheme. Made in 2013, added to my set in August of 2013. Looks great! Made in 2013, added to my collection in January of 2014. Yeah, it's not very prototypical, but it sure is fun to run. Made in 2015, added to my collection in May of 2016. Part of 2008 vol. 2 order. These are great contemporary cars that I've been eager to get. I got 2 sets of them, so that will make 12 of these beauties in all. 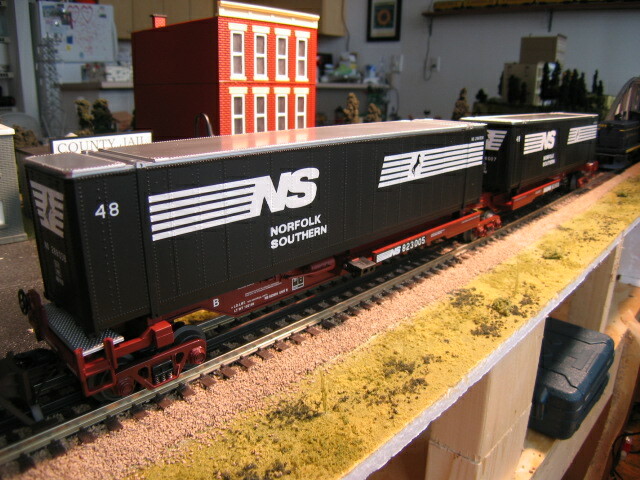 These will look great being pulled by one of my NS diesels above. I have since weathered most of these hoppers. Made in 2008, added to my set in January of 2009. Part of my 2008 vol. 2 order.Just like the 6-car set above, but with different road numbers. Made in 2008, added to my set in January of 2009. This high cube car and the one below were part of my 2007 Vol. 1 order. Like the other high cube cars that MTH is cranking out these days, these are really pretty pieces. Made in 2007, added to my collection in August of the same year. Just like the hig cub car above, but a different road number. Made in 2007, added to my collection in August of the same year. 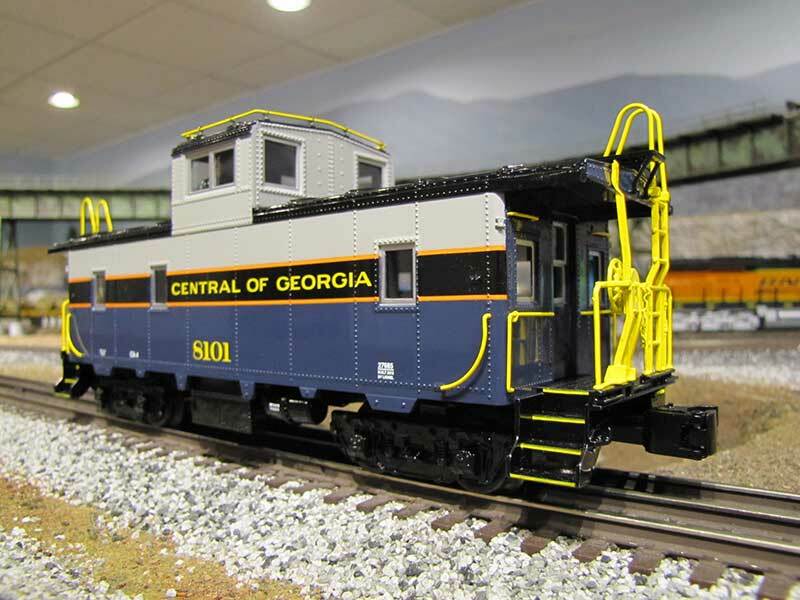 I picked these up at Paragon Trains in Piedmont, SC. 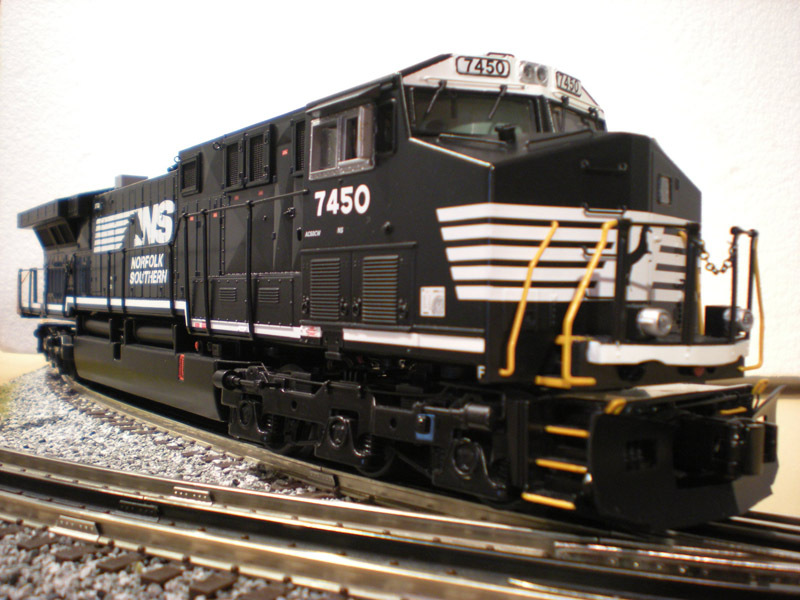 We took a day-trip to South Carolina to pick up a set of hard to find NS switchers. 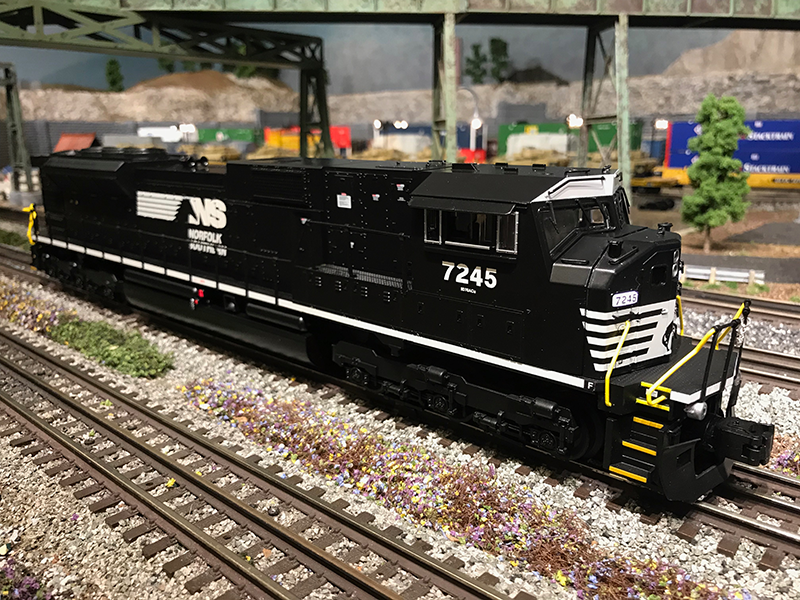 It turned out that Paragon specializes in Southern and Norfolk Southern roads, so I was able to pick up some extra NS freight rolling stock while I was there...including this set. 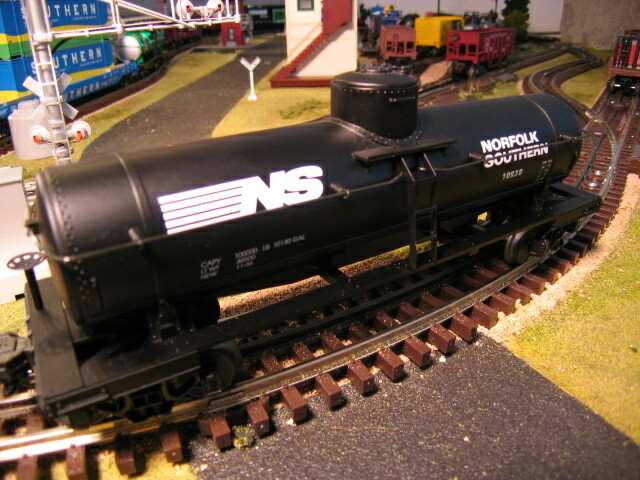 This is a 2005 model, added to my layout in Feb. 2006. 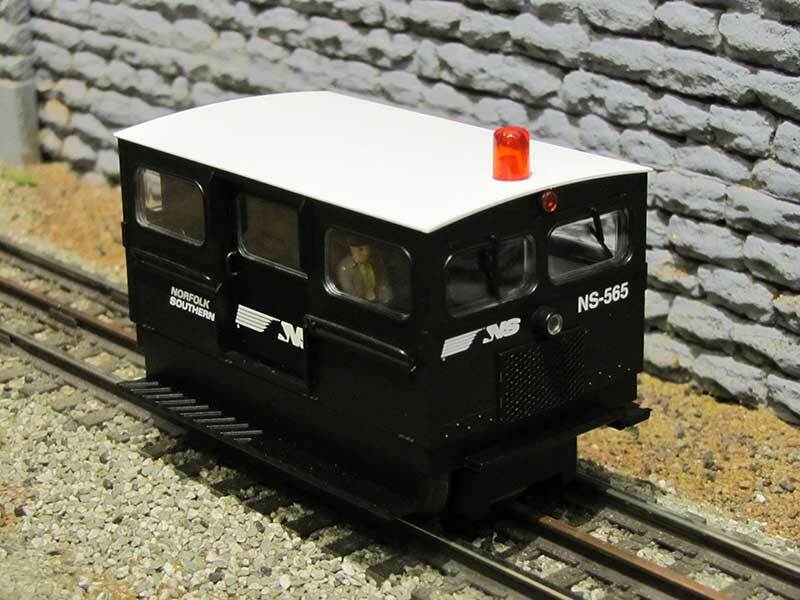 This is the 2015 MTH premier line club car. Looks great! Made in 2015, added to my collection in September of 2015. My wife gave this to me for Christmas 2007. This is one beast of a car, coming in at 23.5 inches in length. Wonderfully detailed and a pleasure to run. Made in 2007 and added to my set in December of 2007. 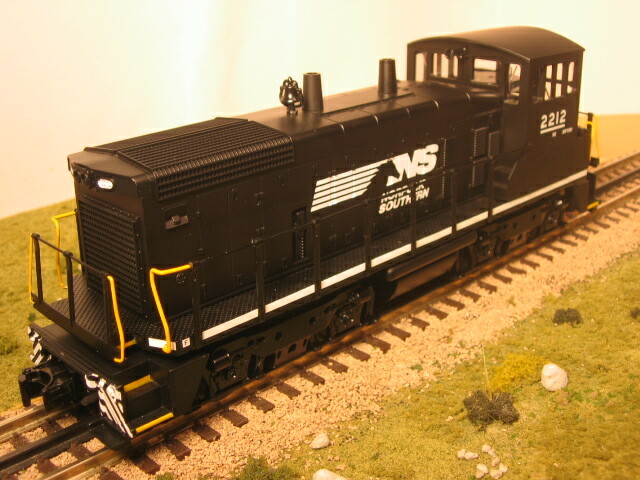 Since NS is one of the primary roads I collect, pretty much anything with the Norfolk Southern logo on it is fair game. 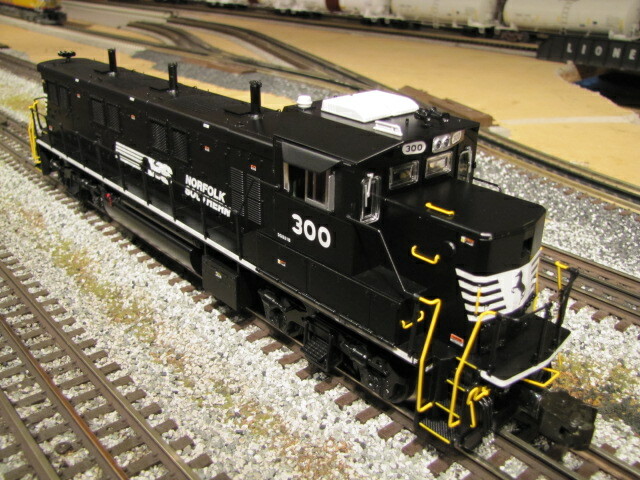 Like everything else MTH cranks out, this a nice and sturdy tank car. Purchased in November of 2005. 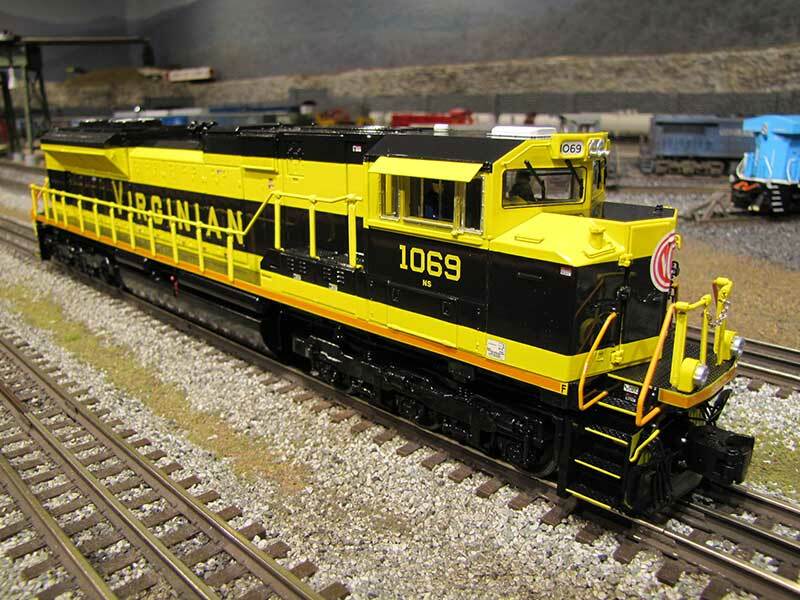 I picked this up at Paragon Trains in Piedmont, SC while going there to pick up a couple of NS switchers. 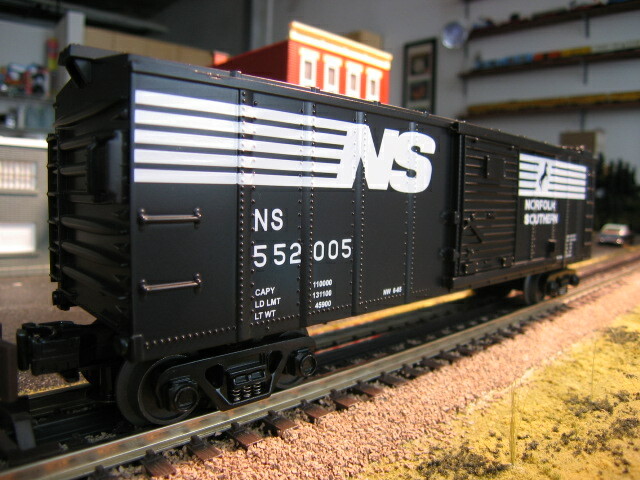 This was part of a big Norfolk Southern kick I got on when I discovered the huge NS Inman yard here in Atlanta. 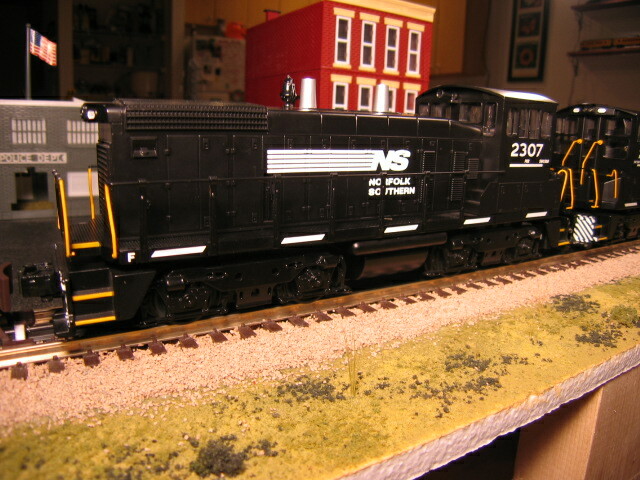 This is a 2004 model, added to my layout in Feb. 2006. A Christmas gift from my wife in 2010. 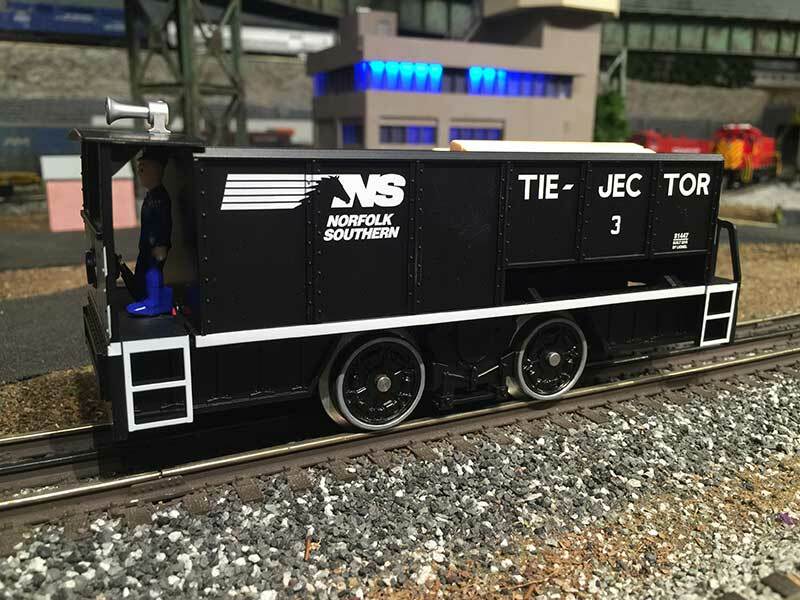 Part of Lionel Norfolk Souther Heritage Series. Amazing looking! Makde in 2009, added to my set in December of 2010. Matches the C of G heritage ES44 I picked up at the same time. Made in 2013, added to my collection in December of 2013. 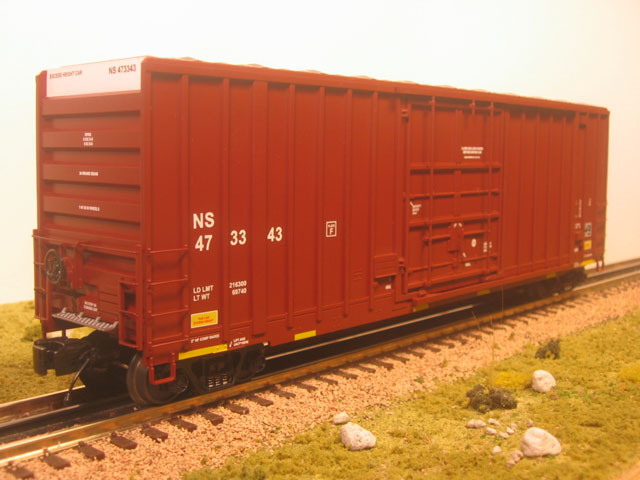 Since the use of the caboose is almost nonexistent on modern railroads (there are a few exceptions here and there), I'm usually not a big caboose fan. 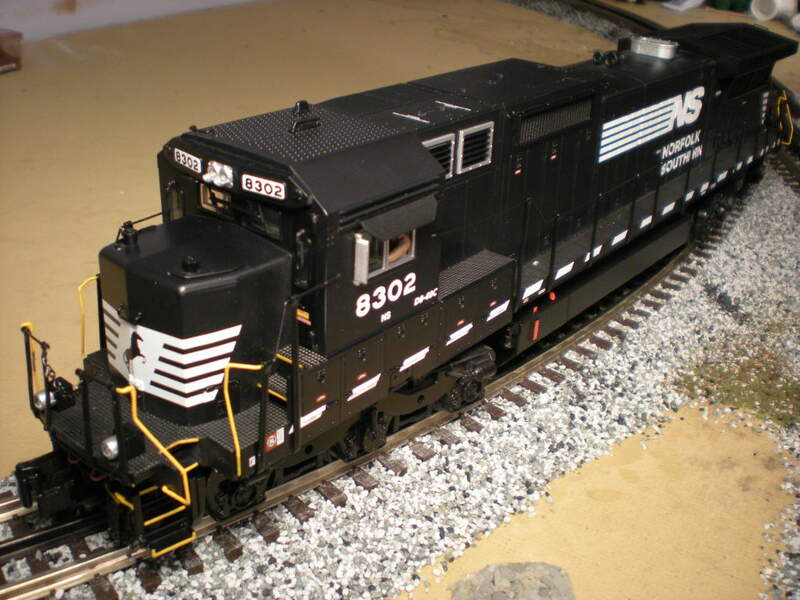 However, when I saw this one, I instantly knew it would make a perfect companion to my MTH Norfolk Southern Dash-9. 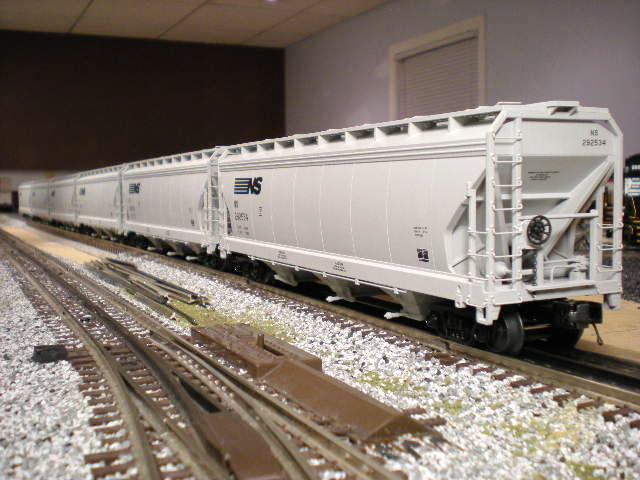 This is a nicely built unit with die cast trucks, interior illumination and a smoke unit as well. Since this picture was taken, I have attached translucent paper to the windows of the cupola (upper windows) so that the interior bulb is not so obvious. It seems to me to it'd be more realistic for Lionel to frost all of the windows at the factory, but oh well. Built in 2005, and bought by me in November of 2005. 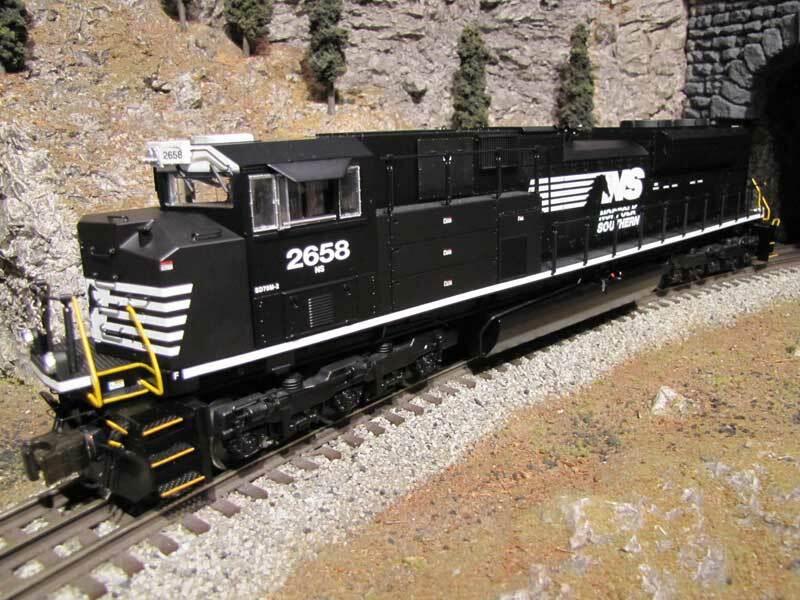 Beautiful Erie paint scheme on the Norfolk Southern Heritage SD70ACe. Built in 2013, added to my collection in September of 2013. It's huge and incredibly detailed. 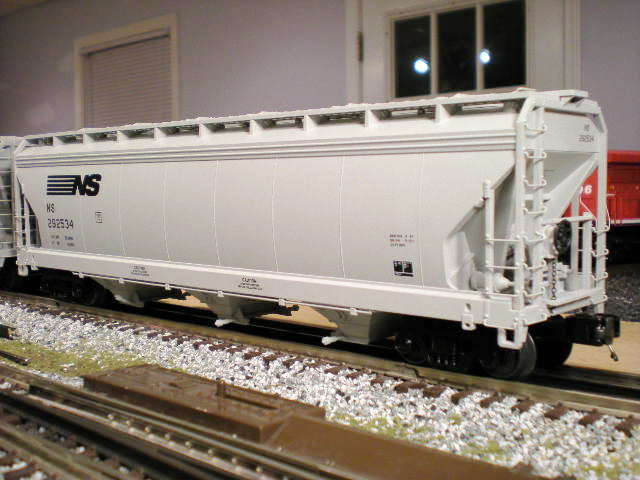 This was my second Atlas rolling stock purchase and I have to say I'm quickly becoming an Atlas O fan. 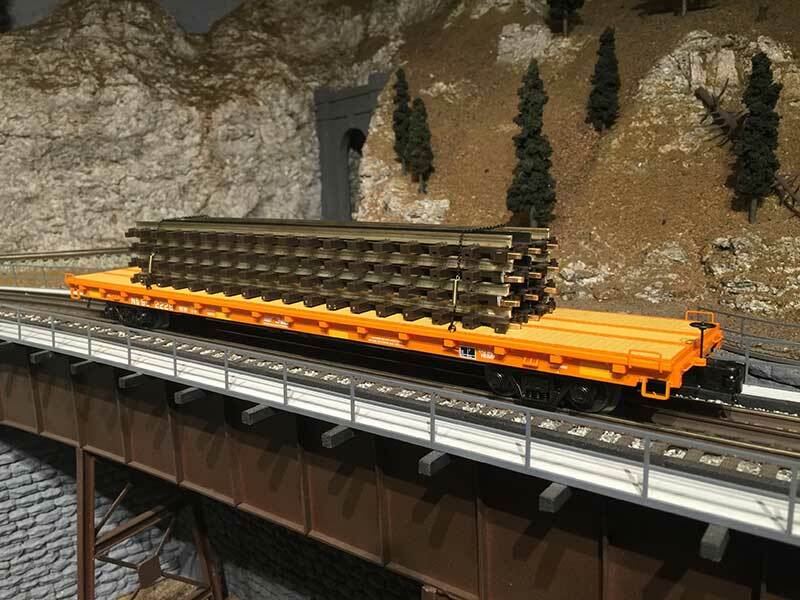 Their stuff seems to have more detail than Lionel or MTH in many cases and I love the rotating bearing caps on the trucks. They make it look that much more prototypical. Added to my set in November 2006. 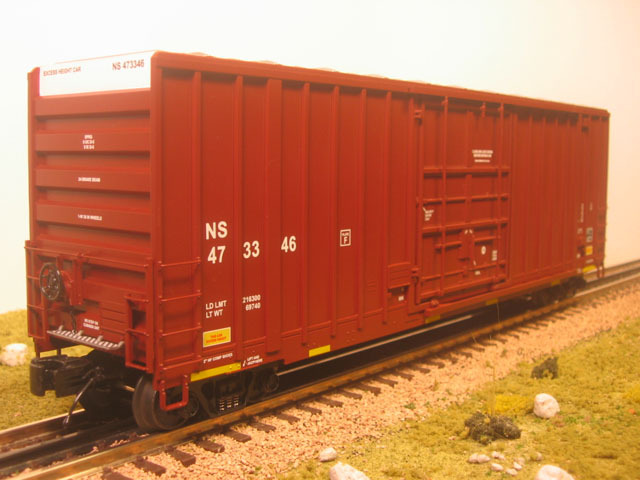 Got this nice coil car off of ebay. Nice detailing under the car. Added to my set in May 2007.